I thought that The Waters of Mars was a pleasant if unexceptional runaround, elevated by a outstanding last ten minutes that did not just raise the stakes, but changed the game completely. Your putative outcome -- that the Doctor is the Darkness and that Master has to return in order to stop the Doctor -- would have provided the setting for a truly fascinating final two-parser. What RTD actually did was so very inferior (while fun in places, of course) that it leaves me scratching my head in bewilderment as much as disappointment. To be so close to greatness and the squander the opportunity so thoroughly: that is tragic. Er. Two-parter. That's what I meant. dark-skinned people always marry other dark-skinned people, don't you know. Slightly unfair given that Donna has just married one. I think that was just RTD thinking that he could tie up a couple of loose ends at once (as if marriage is a suitable conclusion to life, rather like fairytales). There was lots of stuff I liked, but I have forgotten what it all was now. Oh, the not being killed by the Master and all the raging against the dying of the light. But you are sadly right about most of the plot stuff. Louise H.'s comment "There was lots of stuff I liked, but I have forgotten what it all was now." is such a perfect summary of my feelings about the two-parter that I feel stupid for not having said it myself. If you could go back in time and speak to your only true love on the day before you met her, what would you tell her? Tomorrow, a weird looking scruffy bloke with a guinea pig fixation and an australian will come down from data entry to join you in filing. The scruffy bloke will talk to you a lot about theatre. You will join your local amateur theatre and help out scruffy bloke in his plays. You will become good friends with scruffy bloke and friends with scruffy bloke's friends. About two years later scruffy bloke will split up and get divorced from the current Mrs Scruffy Bloke. Scruffy bloke will then ask you if you want to go to see a play on next week. Now, and this is very important, Scruffy Bloke is asking you out on a date. Answer yes. Do not, and I repeat, do not, say 'what a good idea, let's all go out to theatre, I'll book ten tickets. You will only make scruffy bloke think you are not interested in him in that way and you will both arse around meaninglessly for the next two years. Sorry, I think that was a rheotorical question, wasn't it? It was incredibly well acted, I found myself moved despite the script rather than because of the script. It's usually remarks by Tony Blair that make me want to break things. I really am genuinely walking around my house punching things. In fact, I’d assumed just this all along. (At least since Parting of the Ways, when the Doctor refused to set off the big bomb despite having programmed it himself.) In fact I read Ecclestone’s whole performance as someone with a dark secret to hide, even from himself. But in fact, nothing happened next. But of course I’m nitpicking. The villain representing the dark side of the hero is scarcely new and has been done many times before in Doctor Who alone. (Such as with the Third Doctor when he... well, regenerated, come to think of it.) It’s a better idea than the villain representing nothing more than generic nastiness, but the Doctor revealing his own dark side would have been better still. And, after all, that’s what we were promised, dammit! I may wibble my priorities round and put the "everything about religoius oxford dudes who wrote fantasy" collection on hold and do the "everything I've written on Who since McGann" book, if only so I can call it "The Viewers Tale"
I hope you haven't reduced your living room to rubble by now, Andrew. I too was flabbergasted by that Davies interview quoted above. My mind went to an opinion piece I read long ago, which mentioned casually, "I wonder, when people watched 'Madame Butterfly' if they realized that they were witnessing the end of opera as a living art form? That after Puccini, there would be nothing else?" Art forms do just die sometimes, and when they do, I think it's because the people practicing them follow the Davies path into oblivion: chasing "the shock, the whirlwind, the freedom, the exhilaration" of escaping from the old rules of cause and effect, logic and reason. But I don't think Doctor Who is in danger of perishing just yet. Whatever Davies thinks he's doing, I very much doubt that the millions he believes are with him have really signed on to some new method of storytelling. I think those millions are following him solely because he had a cute guy as the lead, and they cared very little what David Tennant was doing as long as they could shiver agreeably as he shouted passionately and flashed his dark eyes at the camera. I liked 'The Waters of Mars' - the monsters were scary, and I felt for the trapped explorers fighting for their lives, even though they hardly had personalities because of their short time on the screen. The ending disappointed me, though, because I'm a moralist at heart. If the Doctor does something very transgressive, I want to see consequences, dammit! Something should happen, besides the Doctor just looking appalled. It's nice that he feels bad, but messing around with time is supposed to be a big deal; do you mean to tell me that after all this time, not interfering was just a gentlemen's agreement among Time Lords, and nothing important happens from breaking this rule? It makes the past tradition seem rather pointless. I thought that the episode should have ended with all 3 rescued Mars explorers walking together into a subway station, which is promptly blown up by a terrorist attack (or a gas leak; I'm not particular). Then the news reports that flashed before the Doctor's eyes would have said that 3 bodies remained unidentified; oh, and that ALL the explorers had died on Mars. Since no one knew that they'd come back to Earth, no one would expect to find them among the subway victims. I would have liked to find that the Doctor could TRY to break the law, but would somehow fail. Why would that be? What power would be thwarting him? It might have led somewhere, instead of the dead end we saw. Now you’ve thought that up, how can you not? ...but changed the game completely. Sorry for not finishing the quote before! "the Doctor’s undoings are themselves undone by whathername killing herself, which makes him realise how transgressive his actions were." Oh, no, I got that - not that it mattered much, because I never believed that a woman like that would kill herself in such a way. To stop the monsters from invading Earth, yes. Because the Doctor told her something would happen then decided to play around and mess it up - no. No, by "consequences", I meant consequences to him. Something should result from such a serious sin, and I don't think just looking stricken is enough. This is the equivalent of a human being committing a murder; the Doctor has to be changed in some way by this, and I want to see the change. I want to see 'The Portrait of Dorian Who' - what is happening to him inside as a result of crossing this boundary? What kind of person is he now, and what is he becoming? An evil Doctor is a good possibility. A repentant Doctor, who has to atone in some way is another. Since Davies was so obsessed with the subject of regeneration, maybe he could have created a Doctor who realized he HAD to die because of what he'd done, and worked it into the story that way. But I can't see that the Doctor really was much different afterwards. Good analysis, Andrew, and I agreed with nearly all of it. The only thing puzzling me was why you or anyone else would bother going to all this trouble over the damn thing. I kept meaning to review those two episodes on my own blog, but I really couldn't muster the enthusiasm. In the end, I tagged a paragraph onto a post about something else altogether, and that felt quite as much energy as the topic deserved. As to the points of disagreement - first, I was more bugged than you by the accretion of new superpowers. The Master acquired really spectacular FX as a result of his resurrection not working right, and the Doctor turned out to have the power to give Donna the ability to fire psychic bolts that could deck multiple instances of the Master. The Doctor has been suffering power creep since forever, of course, and none of this was quite as annoying as the sonic screwdriver as magic effing wand, but any comics reader should recognise that titles suffering superpower creep always get into trouble. And as for the cuts in Hamlet - I always assume that an uncut Hamlet is like a 147 break in snooker. One knows that it's technically possible, of course, and that it's even happened from time to time, and if one gets a chance to see a film of it happening, one may well watch to marvel at the skill and concentration. But it's not the point of the game, and surely only people like Branagh pretend that it might be. The Olivier movie (RIP Ophelia) is listed as 155 minutes; the Richard Burton/John Gielguid film comes in at 191. Apparently, there's a Gielgud-as-the-Prince radio recording that's reduced to 74 minutes. Some editing jobs are better done than others, obviously, but I'd assume that this one was based on the RSC production that hoovered up all the hoofen, so I imagine that there was some sort of theory involved. Which isn't saying much, I admit. 1) Isn't the Branagh film of Hamlet the uncut text? I found it more coherent than the stage productions I've seen, anyway. 2) "Ultraviolet" is really quite good. I just watched it on DVD and it didn't make me want to punch anything. (1) The Branagh Hamlet is apparently uncut (quarto text). I've not seen it, but it sounds like it's actually over-stuffed, throwing in wordless cameos by people like Ken Dodd and Gerard Depardieu and John Gielgud, presumably because he can. That's not fidelity, that's showing off. (2) Ultraviolet (assuming that we mean the UK vampire TV series that was so cruelly left at one series) was indeed good. Umm, why? The Branagh Hamlet was certainly overstuffed, but I enjoyed it lot more than most people seem to have. (Although I only saw it once and haven't felt the urge to hunt it down on DVD or anything like that.) Using the full text makes a big difference to pacing and goes some way townards answering people like Tom Stoppard who find the play incoherent. We actually see Fortinbras before he suddenly pops up at the end, for example. The "wordless cameos" were basically visual footnotes - a way of glossing the text without altering it. Some of them were heavy-handed(*), but I thought they were a good idea overall. Baz Luhrmann does a better-integrated version of the same trick in "Romeo and Juliet". There's a lot of showing-off, too, though: the dead Hamlet being carried away as if he were Christ is particularly embarassing. (*) Hamlet in bed with Ophelia, to explain why his rejection was enough to drive her mad. On the other hand, the overall standard of acting is excellent. Whoever it was who played Polonius did a particularly good job - you could actually believe in him as a courtier and not just an idiot. If you ever have a lot of time on your hands then you could do worse than to give it a look. And speaking of acting... the guy who wrote Ultraviolet gives a lot of credit to the actors, and I think he's got a point. 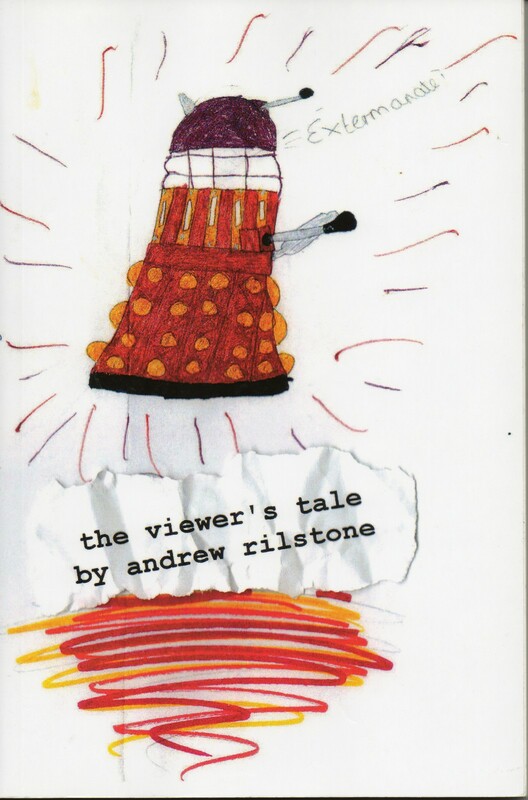 But in terms of writing, I think it succeeds because it's the anti-Dr Who. Low-key performances, information-dense, heavy on uncertainty and implication, careful to avoid camp... and a willingness to stop when the material runs out. (You might have got another series out of it, but where would you take the story? Either you'd repeat the first series or you'd turn it into a soap opera.) TV fantasy and SF has been trending away from that ever since Star Trek: The Next Generation, and the result is that everything ends up full of meaningless "drama" driven by handwaving, like X-Men continuity. I watched Branagh's four hour Hamlet in the cinema, and spent most of it thinking "Well, I wouldn't do this scene like _that_." It felt more like a collection of scenes than a coherent movie. Some of them were good scenes, most of them were at least passable, but it never came together into more than a collection of parts. Branagh's Polonius was Richard Briers (according to imdb). One thing to grant Branagh is that he's identified Briers as something a bit more than just a good comic actor. I thought that Oliver Ford Davies did a decent Polonius in the Tennant Hamlet - but then, I'm happy to assume that Polonius was a useful enough courtier in his time, but that he's now getting on a bit. I saw a Cheek by Jowl production some years back that convinced me how he should be played; at the end of his big advice speech, Ophelia and Laertes both joined in in perfect unison for "to thine own self be true". Suddenly, you could see how long Polonius had been doing all this stuff. You may well be right about Ultraviolet; I'd have trusted Ahearne to find something worth doing in a second season (and there were character threads left loose), but it's better to remember one good season than two indifferent ones (God I wish I'd stopped watching Heroes after the first). According to the imdb notes, Ahearne (a) couldn't find anybody else who understood what he was doing well enough to write any episodes for season one, so he ended up writing it all himself, so he didn't have time to outline a season two, and (b) thinks that, yes, it's better to stop before you run out of steam with a strong concept. It felt more like a collection of scenes than a coherent movie. Some of them were good scenes, most of them were at least passable, but it never came together into more than a collection of parts.